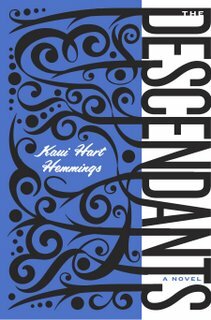 The Descendants by Kaui Hart Hemmings. Sharp writing and painfully real characters make this story shine. In her debut novel, Hemmings deftly creates a smart and endearing story of a father forced to wake up — and take charge of his two daughters — in the midst of his wife’s death. The book is now being adapted for film, so read it quick before airbrushed actors glam up the grit of true emotion. I’m late to the party on this on this critically acclaimed and wildly popular book. Published in 2000 and later made into a movie (not to be confused with The Secret Life of Bees, an enjoyable book turned into a painfully sappy movie), Bee Season is snappy and sharp, and told in the voice of Eliza, a quirky 11-year-old pursuing the national spelling bee title. Practicing for Heaven, by Julia B. Levine. I’ve waxed on about this contemporary California poet before but getting a Christmas gift of her early work reminds me that I can’t say enough about her ability to turn crisp pain into warm insight. I didn’t want to like it, but I have to admit Prep by Curtis Sittenfeld is a good, engaging read. The story of a Massachusetts prep school initially made me groan. I mean, really, do we need another story of overindulged teens? But this story is smart, the characters are complex, and the book is a true page-turner. I read it in one sitting. Gilead by Marilynne Robinson was suggested by reader Beth. Critics have hailed this book as brilliant, multi-layered and spiritually contemplative. I’m a hit-and-miss fan but King’s new short story collection has garnered great reviews, and I’m eager for some bite-size reading. He’s so darn prolific (he’s written over 40 books) that over the years he’s gone beyond his trademark horror to offer a bit of something for everyone. My favorites are On Writing, a blend of memoir and manual, and Hearts in Atlantis, five thematically linked short stories set during the Vietnam War. Reader Auburn McCanta shared my enthusiasm for The Stone Diaries and couldn’t wait to read more of Shield’s work. Sadly, the author died of breast cancer in 2003. Unless, published in 2002, was her last novel. While she left us 10 novels, three short story collections and three volumes of poetry, I’m still hungering for more. Anything by this quick-witted writer is worth reading. She’s smart, tight and wry. What’s on your library list? On your desk? By your bed? What's got you glued? I'd love to hear from you.